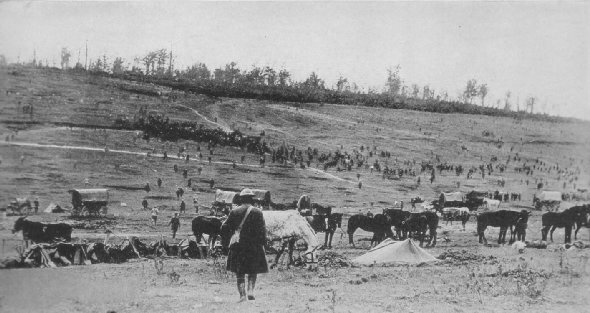 American anti-aircraft machine guns opened on the German aviator, Marwede, and brought him down on the road between Cuisy and Montfaucon, October 3, just after he had brought down the balloon shown on the opposite page. 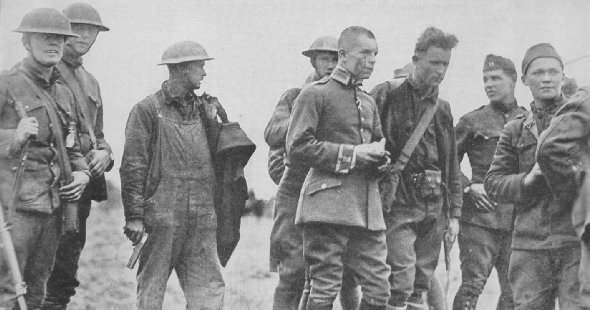 An American infantry captain pulled the injured German ace from under his wrecked plane and marched him back to be searched for maps and quesitoned for other military information. Only the finest landing skill saved his life.